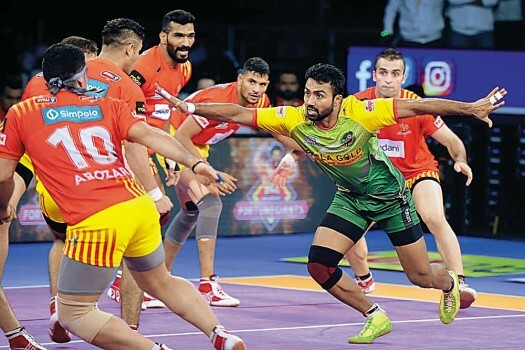 Tamil Thalaivas (Blue) and Patna Pirates (Yellow) players in action during their Pro Kabaddi League match in Mumbai. 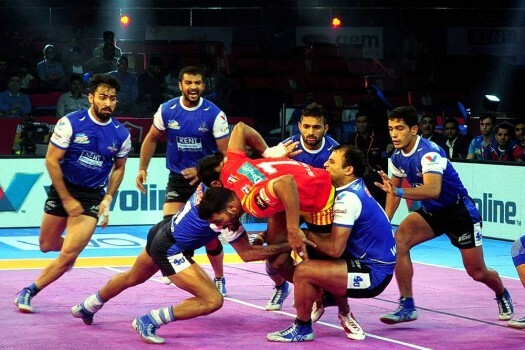 Bengaluru Bulls players make an unsuccessful attempt to pin down Gujarat Fortunegiants' Sachin, in red jersey, during their Vivo Pro Kabaddi League match in Ahmadabad. Gujarat Fortunegiants' players pin down Bengaluru Bulls' captain Rohit Kumar, in black jersey, during their Vivo Pro Kabaddi League match in Ahmadabad. 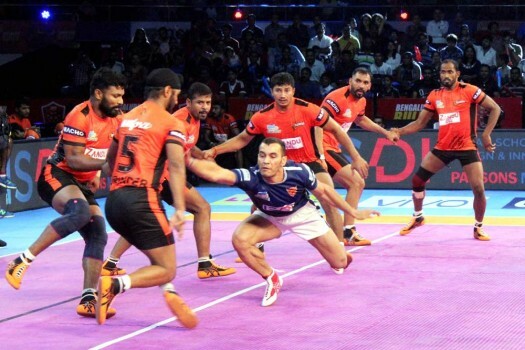 Puneri Paltan and Bengal Warriors players in action during the Pro Kabaddi league match in Ahmedabad. Players of Gujarat Fortune Giants catch a player U Mumba during their Pro Kabaddi League match in Ahmedabad. 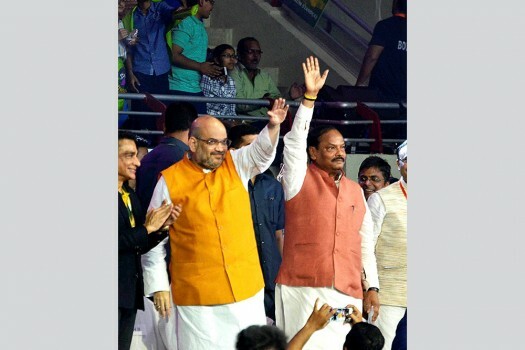 Haryana Steelers players with Gujrat Fortune Giants in action during their Pro Kabaddi League match in Nagpur. U Mumba players trying attemp on Dabang Delhi player Meeraj Sheikh in blue jersey during their Pro Kabaddi League match in Nagpur. 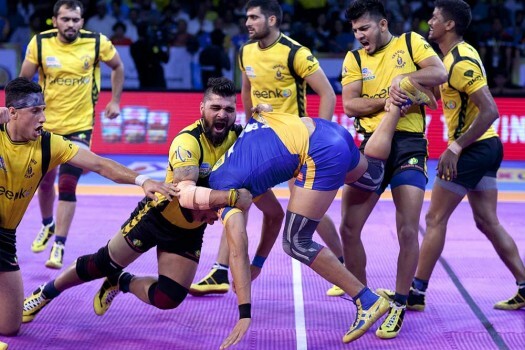 Telugu Titans' players pin down Tamil Thalaivas' Ajay Thakur, in blue, during their Pro Kabaddi League match in Hyderabad. 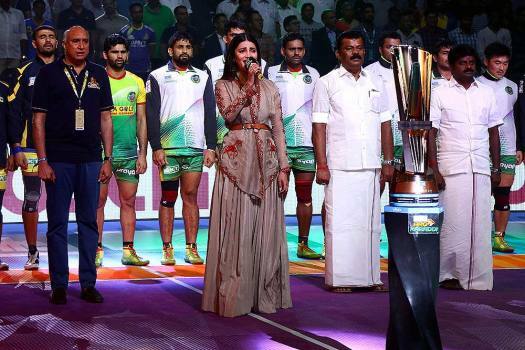 Telugu Titans won the match 32-27. The Bulls made a brilliant comeback in the second half to hand Fortunegiants two all outs for a 38-33 verdict at the DOME, NSCI SVP Stadium. 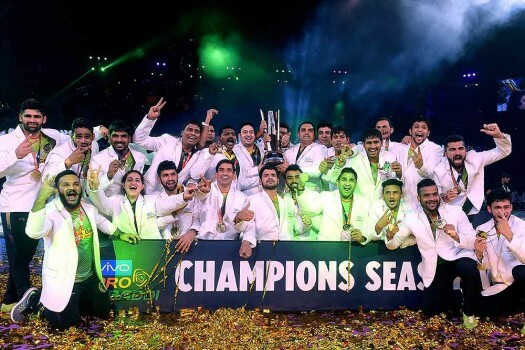 Fortunegiants were the losing finalists last year, to Patna Pirates; while Bulls were defeated by U Mumba in the 2015 final. The two finalists have played thrice before with both sides winning a game each and one ending in a tie.